High school graduates with learning disabilities who are contemplating the next chapter in their academic careers should start learning about and preparing for that transition as early as possible. Programs like the CUSP Program can help. There is in many ways a “disconnect” between high school and university which can make the transition to post-secondary that much harder. The secondary and post-secondary education systems are two very different systems that have evolved in very different ways, which means that students are often surprised by and unprepared for many aspects of the brave new world they finds themselves in after they leave high school. Beyond that, students with disabilities will discover differences in how their disability needs to be documented, how their accommodations are accessed, and in the expectation that they will take on a more active role in their own accommodation. A number of previous LDAWE blog posts have discussed some of the obvious differences between these two education systems, and their impact on the transition process. Tammy Wilcox offered a parent’s perspective on this process in her article “Transitioning to University or College”. And in “Smooth Moves: Transitioning to University” and “Transition: Smooth Moves, Part 2”, I talk about some of these differences, and offer a bit of advice about preparing for them. The reality is that educators and advisors in each of these systems are well aware of this apparent “disconnect”, and working hard to close this gap so that transitioning from high school to university or college can be a little more seamless (and a little less daunting) for our students. An example of this can be seen in the CUSP (College and University Success Preparation) Program, which is offered annually at the University of Windsor. CUSP was created in collaboration with the Greater Essex County District School Board (GECDSB) (with help from our friends at St. Clair College and from the Learning Disabilities Association), to make sure that high school students who have a learning disability and/or ADHD get information they need well in advance in order to make informed choices about the academic path that’s right for them, whether that’s university or college. Students and their parents spend the morning with us learning about some of the differences between high school and college/university, as well as about the variety of services that are potentially available, how to access those services, and how to access funding for assessments and technology. They also have the opportunity to hear first-hand from a panel of students with LD/ADHD who have managed to transition smoothly from high school and are “getting it done” at a post-secondary level with great success. High school students in Grade 11 or 12 who have a learning disability and/or ADHD and would like to start gathering information that can empower them to have a smoother transition to college or university can learn more on the CUSP webpage. Students affiliated with the GECDSB can also learn more from their Learning Support Teachers. Students from private or separate school board high schools are also welcome to join us, and are requested to contact us directly for registration. The link for that can be found on the CUSP webpage. It has been said that the future belongs to those who prepare for it today. So students, think about the kind of future you’d like to create for yourself, and start planning for it now. If you think there might be a place in that future for university or college, then consider joining us for the CUSP Program as an initial step in gathering the information you need to start creating the future you want. As a Learning Support teacher and specialist in treating students with Language-based learning disabilities, I often have parents enquiring about whether or not I believe their child has Dyslexia. I am not a psychologist and cannot make that call! Only a certified psychologist can properly diagnose Reading Disorders, through psychoeducational testing. However, there are warning signs. I noticed several oddities when my son was a preschooler. My son was very intelligent! He understood everything that was asked of him, although he sometimes had difficulties following multi-step directions. He had a fantastic vocabulary and general knowledge, especially about the things that interested him. He knew the alphabet song and could easily sing it anytime it was requested. But, when it came down to pointing to the letters of the alphabet as we sang, I noticed he had no idea that each of these strange symbols meant. 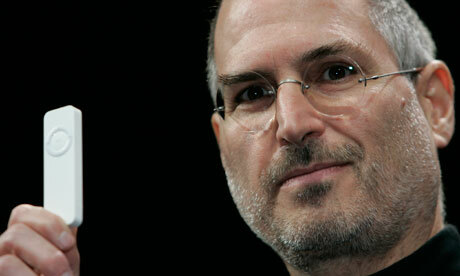 He had difficulties with cutting and pasting, pronouncing some sounds, words and phrases. Seeing hundreds of children every day enabled me to realize that something was up. Dyslexia is the name for specific learning disabilities in reading. Dyslexia is neurological and often genetic. Dyslexia is not the result of poor instruction. With the proper support, almost all people with dyslexia can become good readers and writers. Could my child have Dyslexia (or a language-based learning disorder)? Dyslexia is a very specific learning disability. Children with Dyslexia usually have at least average (and many times above average) intelligence. Once your child is able to be aware of this, they can understand and embrace that they only have a very specific challenge. This empowers them! It is way easier to know that you only have to overcome one or two hurdles than to think you are incapable. Often this is the case before the diagnosis of Dyslexia. Let them know and reassure them that as they learn new strategies life will get easier. Reading and writing will always be a bit more of a challenge for them compared to their peers, but over time they will learn way to compensate for this and their true abilities will shine through. Sometimes these challenges help them to realize that their strengths are truly gifts. For example, my son always had difficulty writing in his agenda. However, he always remembered his assignments and important dates. He then came to realize that his memory for schedules and date was extraordinary! 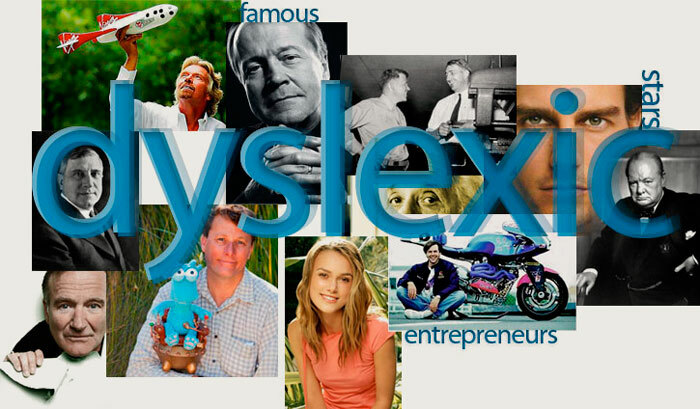 I find that my son and my students are amazed when they find out that many famous and successful people struggled with Dyslexia. One of my students recently came to me and said he would never be able to do anything academic because he had Dyslexia. I said to him that I know a lot of people with Dyslexia that were still able to be very successful! We went on the computer and looked it up. He was ecstatic and began to take on a different view of his challenges.